When there is only so much food to go around, big clownfish threaten smaller clownfish with eviction to stop them from breeding, according to Australian researchers. 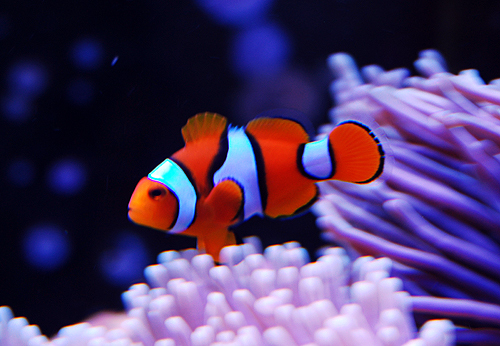 Like many animals, clownfish live in groups where only the largest individuals get to breed, but how and why they keep the smaller fish in check has been a mystery until now. The researchers found having a limited food supply provides the incentive for big fish to stop smaller ones from reproducing, and that if the smaller fish do give it a go, they are likely to be kicked out of the group. Funder: The field portion of this project was supported by a grant from the University of Wollongong and a grant from Boston University. T.R. was supported by funds from P.M.B., T.A.B. was supported by NSF GRFP, M.Y.L.W. was supported by the University of Wollongong, M.I.S. and G.P.J. were supported by the ARC Centre of Excellence for Coral Reef Studies at James Cook University and P.M.B. was supported by the Trustees of Boston University. Many animals live in groups where only the largest individuals get to reproduce. How and why these dominant individuals keep the smaller, subordinate individuals from reproduction is often unclear. Studying the clown anemonefish in PNG, we found that how much they reproduce depends on available food resources. This creates an incentive for the dominants to keep the subordinates from reproducing and keep most resources to themselves. We also found that if subordinates become reproductively active, they are much more likely to get kicked out of the group. This creates an incentive for them to stay inactive and wait their turn.